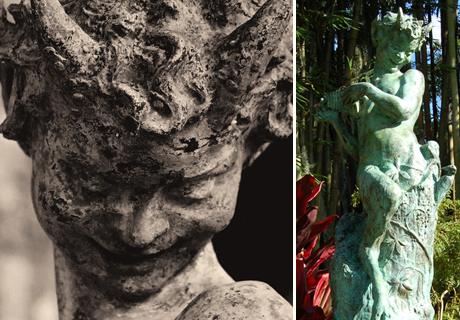 Polasek’s favorite mythological character was the Greek god Pan, son of Hermes and a nymph. Half goat and half man, Pan lived in the forest playing a syrinx (panpipe) and making mischief. Polasek created 26 small faces of Pan, which are hidden throughout the Museum property in pedestals, fountains and doorways.